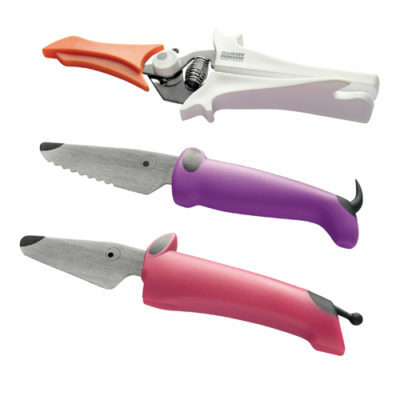 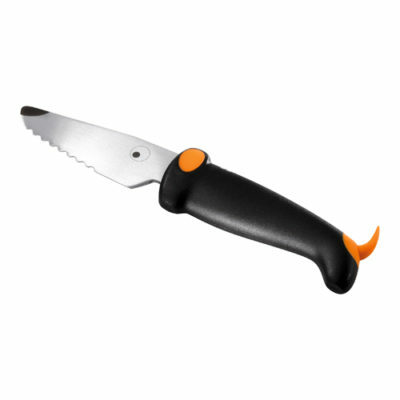 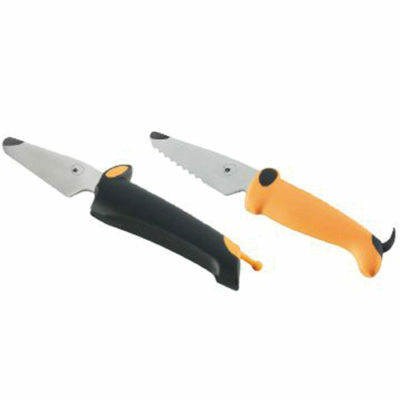 The kinderkitchen knives have been carefully developed for children to use. 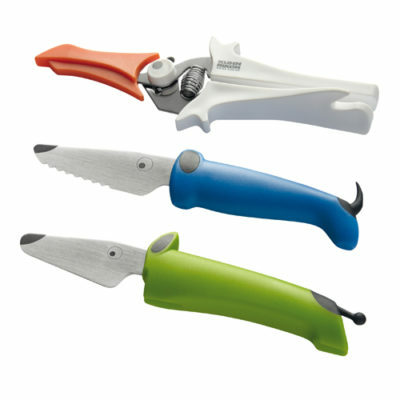 They are not as sharp as ‘adult’ knives but are sharp enough to cut soft food. 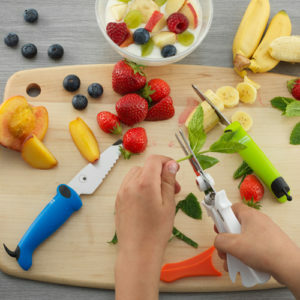 These practical tools, with appealing designs, will encourage little chefs to learn skills in the kitchen to become confident at cooking and eating new foods.